Today is a non-book related day. This morning I posted a Personal Post about my crafting. Now I have an interview to share with you with Laura Clempson, a professional crafter to talk about her wonderful creations on Cupcakes for Clara. 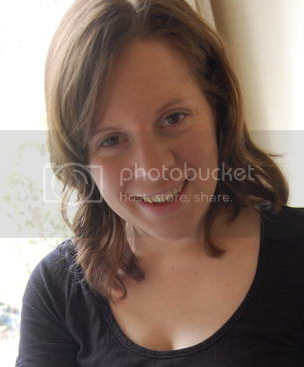 (Yes, you may recognise her surname - she's married to debut YA author Tom Clempson! Twitter is a wonderful thing!) All photos used with permission from Laura Clempson. Thank you, Laura, for taking the time out of your busy day to answer some questions for me! Can you tell us a little about yourself? I am a mum of two toMatilda (2 ½) and Theo (7 months). 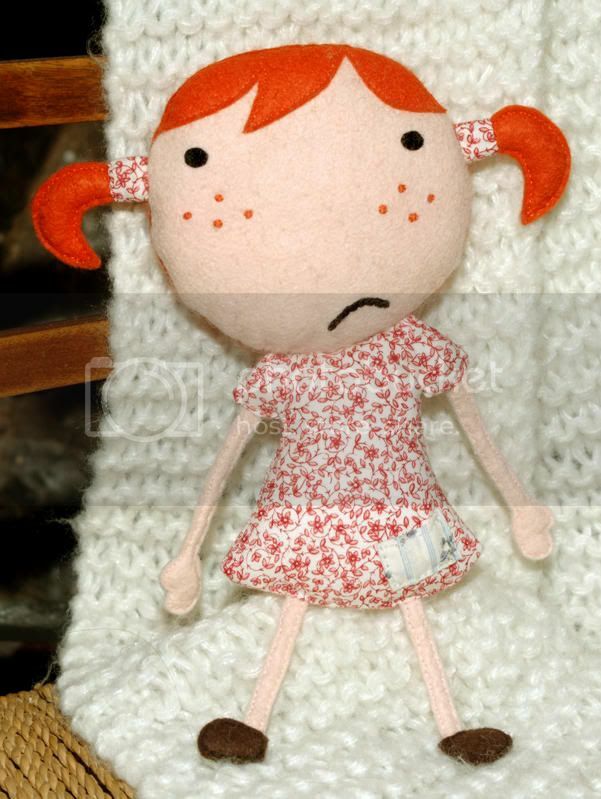 I work as a puppet maker for animation by day (although I’m currently on maternity leave) and by night I sew, sew, sew! I adore working on small, fiddly, detailed pieces of work that allow me to use hand stitching as much as possible. I find it both relaxing and inspiring, which is a nice change from the craziness of parenting two littlies. How did you get into puppet making as a career? I remember watching the first Wallace and Gromit film when I was about 11, and thinking Wow – I want to do that, I wonder if you can really do that as a job? It turns out you can! I did work experience on Bob the Builder when I was 15, making props and costumes, and had my first real taste of the animation world. It was amazing! I then studied Animation at university and was lucky enough to get a summer job working at Mackinnon and Saunders. When I finished my degree three years later Mackinnon and Saunders offered me a full time position doing puppet maintenance on the set of Postman Pat. It was kind of like working in a puppet hospital – fixing all of the things that the animators had broken whilst filming. What is involved in your job as a puppet maker? I work for a company called Mackinnon and Saunders where we make the puppets for animated films and TV programmes. I’ve worked on things like Fantastic Mr Fox, The Corpse Bride, Postman Pat, Bob the Builder, Fifi, and most recently Tim Burton’s Frankenweenie. The puppets are usually about 12” tall and are meticulously crafted. The construction of each puppet consists ofa metal skeleton to enable movement, a foam cast body, a silicone skin, and a costume. Some of the more complex puppets can have a head full of cogs and gears, (resembling a Swiss watch), which control the characters facial expressions – even dimples!The company has separate departments for sculpting, moulds, armatures, casting, painting, costume, and wigs. There is even a departmentfor getting rid of seam-lines on the silicone casts. As you can imagine, each puppet costs thousands to produce! On Fantastic Mr Fox I worked in the fur department creating the furry outer skins for the puppets. That was an itchy job! For Frankenweenie I worked on the wigs. Each wig had to be wired to allow the animators to move individual hairs – it was a slow process. But it certainly taught me patience, and is probably why I like small detailed work so much!It’s also pretty awesome to spot your own work on the big screen, and spot your name in the credits! 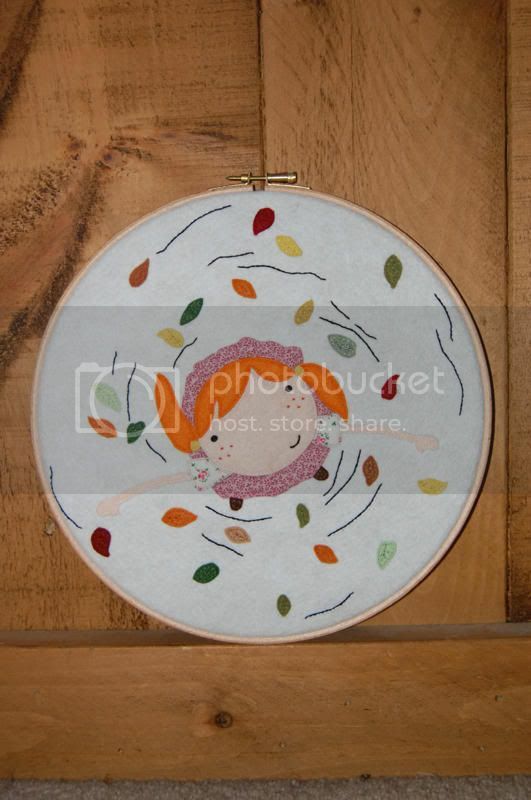 How did you get into crafting for fun? I’ve always enjoyed making things ever since I was teeny, but I started seriously crafting in 2007 after a six-month trip to Australia. I was completely inspired and eager to begin designing and sewing as soon as I returned home. I really wanted to work on my own ideas instead of always making other peoples designs. So I began sketching characters and toys. That’s when Clara appeared – a grumpy little redhead. She sprang to life almost immediately and I quickly turned her into a soft toy. I tried out a few other toys, and I entered them into an online softie competition. Unbelievably I won and people actually seemed to like my style, and so I thought I’d design a few more. And my business, Cupcakes for Clara, began. Can you tell us about Cupcakes for Clara? Cupcakes for Clara is my real passion. 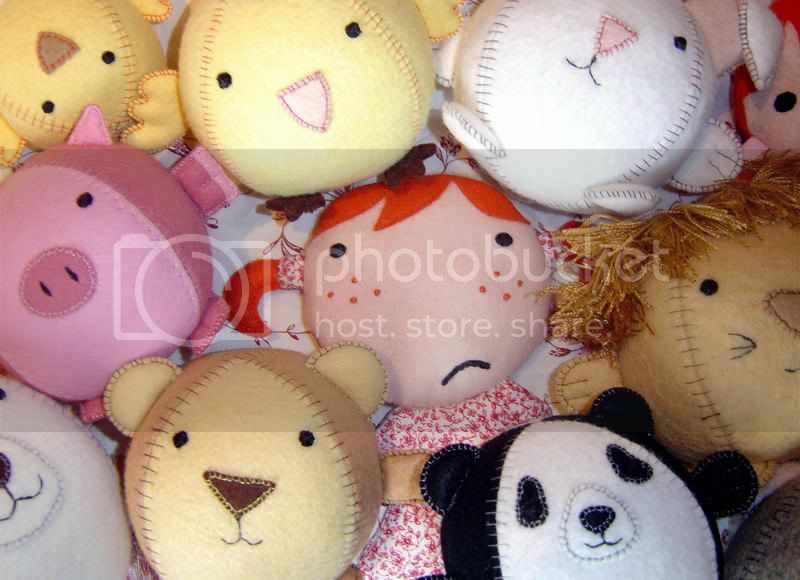 I run a blog and online shop selling my handmade toys, home wares, and ‘make your own’ kits. And several pieces of my work have been published in books and magazines. I love designing/sewing soft toys. There is something so wonderful about creating soft toys - they seem to develop their own personalities as you sew them - it’s almost like you’ve created a little person! I’ve recently started sewing felt illustrations - kind of a mix between embroidery and applique, with lots of opportunity for teeny stitches. One of the most exciting things is to think of my work in other people’s homes all over the world, hopefully inspiring them to get creative too! 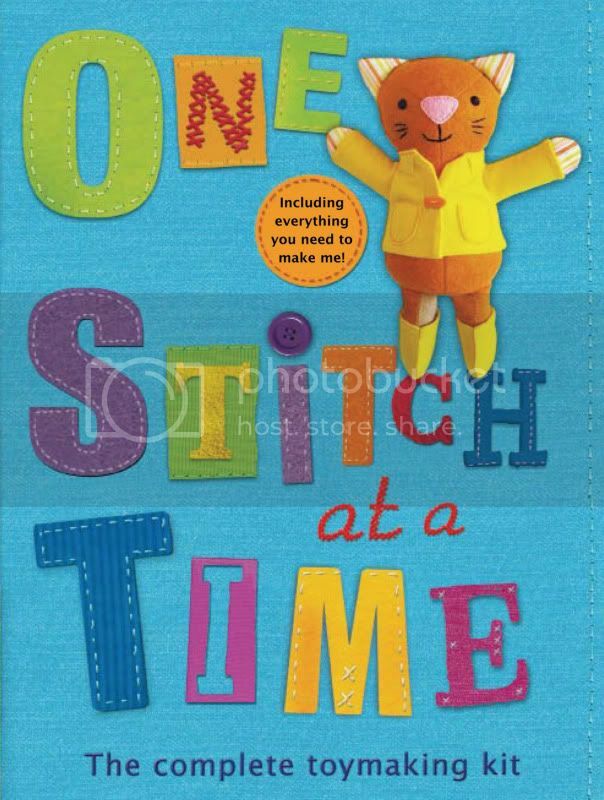 You did the toy making design for One Stitch at a Time, your most recent collaborative book. How did that come about? After having a few of my other designs published in various collaborative books, I was contacted by Quarto Children’s Books who had seen my work. They were originally after one toy design for a book fair. That developed into a commission to design all of the toys and patterns for One Stitch at a Time. I was thrilled to work on such a beautiful book, and really had fun with it. After doing initial sketches of each toy, I made patterns, sourced materials, and sewed the toys. There were quite a few duplicates of each toy to make, and often the schedule was tight. I was even sewing cats the week after Theo was born, sitting beside his incubator with three half-made cat toys on my lap! What books have you worked on/been a part of as a crafter? You’re on maternity leave at the moment after the birth of your second child 7 months ago. How do you fit in time for Cupcakes for Clara around looking after your two (beautiful!) children? Ah, thank you for the beautiful compliment - I must say I agree! I sew pretty much whenever they sleep. Matilda goes to nursery three days a week so that allows me a couple of hours on those days whilst Theo naps. Otherwise it’s evenings. I also have an incredibly supportive husband who does all the cooking! Are you interested in other types of crafting besides sewing? Do you create in any other way? I love pop-up books and paper-craft. When we were coming to the end of our holiday in Australia and we’d pretty much run out of money, we decided to make each other’s Christmas presents. I made Tom a pop-up book of our experience. Of course I had no idea what I was doing and I spent hours in the bookshop flipping the pages of Robert Sabuda’s excellent pop-up books trying to work them out! But I finally got it, and he was (thankfully) thrilled with his present. I also made pop-up invitations for our wedding a few years ago featuring a silhouette of our wedding venue, Kenilworth Castle. 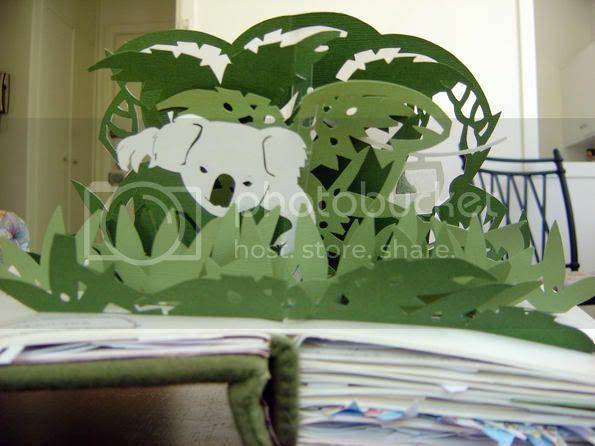 Hand-cutting forty pop-up cards was quite a job! What’s coming up next for you on Cupcakes for Clara? I'm currently working on a couple of book ideas. Long time blog readers probably know that it is my dream to have Clara and Macy picture books published. I’ve started playing around with ideas for this, and developing how I might create the felt illustrations. Alongside that I’m working on a craft book idea to create everything you need for your baby’s nursery. I would love to be ready to start pitching these ideas to agents/publishers later in the year. I also hope to restock my little etsy shop in the summer with a return of the ‘make your own’ kits and prints of my felt illustrations. Ooh, and a bit of a blog redesign too! Can you point us in the direction of where we can buy your creations? One Stitch at a Time is available from Amazon and bookshops across the US. 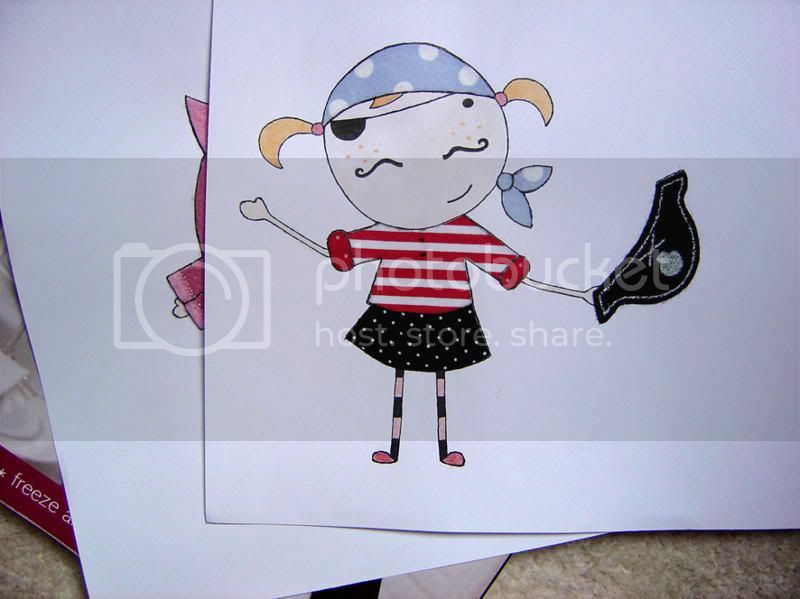 My designs are also in Little Birds, and Making Stuff for Kids both of which are available on Amazon. Thank you very much for interviewing me – it was a real pleasure to answer your questions! Thank you, Laura, for allowing me to interview you! It was so fascinating to read about puppet making and Cupcakes for Clara. Make sure you all check it out - seriously, you will not be able to visit the site without going "aww!". What a really fascinating post! Thank you so much for posting it this. I really love the idea of puppet making and seeing all these great photos. I'm glad you enjoyed it, Michelle!